Burma rejected as unbalanced comments made by several Nobel peace prize winners calling for an end to the persecution of Rohingya Muslims. The Nobel laureates including South Africa’s Desmond Tutu, Iranian human rights activist Shirin Ebadi and former Timor-Leste President José Ramos-Horta made the appeal following two conferences in the Norwegian capital last week. 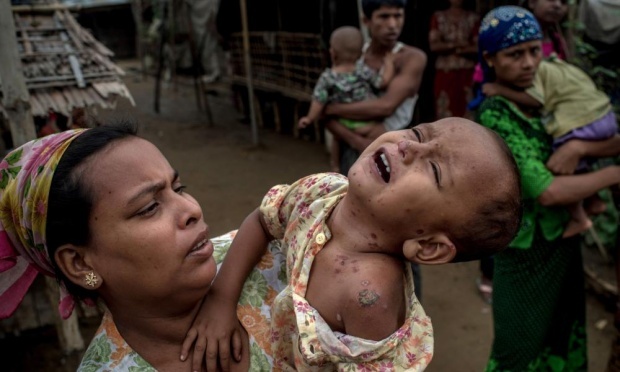 They called the situation of Rohingya in Burma “nothing less than genocide”. Burma’s foreign ministry said in a statement published in Sunday’s newspapers that such comments turned a blind eye to Burma’s efforts on rebuilding trust between Buddhists and Muslims in western Rakhine state as well as “granting citizenship through national verification process to those Bengalis living in Burma for many years”. Burma does not recognise the Rohingya as an ethnic community and refers to the more than one million members in Rakhine state as Bengalis – immigrants from neighbouring Bangladesh. They have been denied citizenship and basic rights. More than 100,000 are confined to internal camps. In recent weeks, the plight of Rohingya has turned into a regional crisis when thousands landed on the shores of Indonesia, Malaysia and Thailand, with others still believed stranded at sea. The foreign ministry said Burma categorically rejects the “unbalanced and negative comments”. Others who criticised Burma’s policies in Oslo included philanthropist George Soros, who escaped Nazi-occupied Hungary and said that there were “alarming” parallels between the plight of the Rohingya and the Nazi genocide.